As one of the world’s most open economies, the city-state is caught in U.S.-China crossfire. Domestic growth is strong enough to encourage the central bank to tighten policy on Friday. A decision to stay neutral will hint at the damage that rate-setters expect tariffs to inflict. The Monetary Authority of Singapore will announce its monetary policy review on April 13 at 8 a.m. Singapore time (0000 GMT). Twelve of the 19 analysts polled by Reuters predicted the central bank would tighten its exchange-rate based policy. The MAS has had a “neutral” stance for the last two years. It last resorted to a long-term neutral stance, for 18 months, during the 2008-09 financial crisis. The government’s advance estimate of Singapore’s first-quarter gross domestic product will also be published on April 13. Analysts’ consensus forecast is for GDP to have grown 4.3 percent in the first three months of 2018 compared with the same period a year earlier. 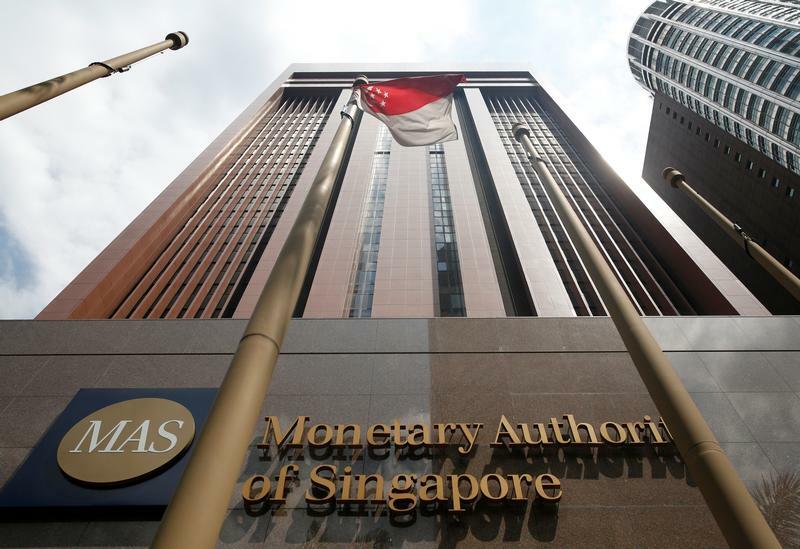 The policy framework of the MAS is focused on managing the Singapore dollar’s nominal effective exchange rate (NEER), or the trade-weighted exchange rate, against an undisclosed basket of currencies, rather than interest rates. MAS argues that this is the most effective tool to maintain price stability, because of the size and open nature of Singapore’s economy.